Om Namo Bhagavate Vasudeva! Why should this mantra be done? Incidentally, this is exactly what happened 1500 years ago. (Bhavisyapuranam) ..
An old man is walking on the banks of the river Ganga, making a mantra named 'Om Nam Bhagavate Vasudeva'. Rudraksha was wearing a garment in the hands of japalam and maid. This Namo Bhagwat Vasudeva "mantra read the mantra of the hugs touched. From where it came from "Om Namo Bhagavate Vasudeva" is a mantra sound. On the shores of Ganga river, a nicely named "Om Namu Bhagavate Vasudeva", chanting the name of the mantra chaparukku go to the old man. As soon as he was put on his arm, he got on a half kilometer away. If you do not know what happened for a while, the old man is going to chant the mantra called 'Om Namo Bhagavate Vasudeva'. Anyway, he went to stop mining. This time the yojana got caught. Then the knife broke down in the gaze. He is bacily. Strong wind is flying up. But that's where I'm going. Did the ignorance diminish? 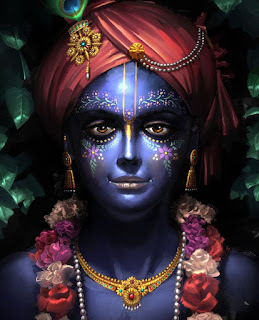 My arrival was delayed due to Krishna in the early days of Kaliyuga. Is this the same thing as Srikrishna Maya? The oldest is not that old. Shiva? Vishnu? "Vedavyasundu" appeared while still thinking. The companions immediately went to the dentist and arrived at the great time. Clear my doubts. Said. The article smiled. It is empty. This is yours. Do you doubt You do not have to be perfect. Anyone in the eye can get a fire in the eyes. What is my need for you You're so kidding! 'm fine! I do not rule over you in naranism. You! Who is that old man going away? My strength is not enough to catch him. Is this my kingdom? Or do you all disagree with me? He begged. The Vedavaya smiled, Ooh, your doubt. He is a devotee of Lord Vishnu. His name is the name of the Vishnu power and does not come near you. Try to catch! Vishnu destroys you and does nothing. Whoever reads the name "Oma Namo Bhagavate Vasudeva" means you can not touch at least touch. So 'Om Nam Bhagavate Vasudeva' 'You have to catch this mantra to catch up with people. Or you are not in your kingdom. And walked away. Make this great mantra all the time.